Having trouble with your home appliances? Don’t wait to schedule the professional maintenance or repairs you need! Mr. Appliance® of Texarkana is here to tackle your kitchen and laundry room appliance needs. We know how to tackle all types of appliances, makes, and models. Whether you need to set up regular maintenance or need emergency repairs, you can count on our team. We look forward to providing the appliance repairs you need! Call us today at (903) 730-6984. At Mr. Appliance of Texarkana, we know how important it is to keep your home appliances running smoothly. That is why our technicians are here to provide efficient and affordable repairs. Don’t let your broken appliances cause you any more trouble! Just give us a call today to schedule service with our professionals. We look forward to serving you. Are team always goes above and beyond to make sure you’re are satisfied with our services. From arriving on time to keeping our work area clean, we deliver an exceptional customer experience! Mr. Appliance of Texarkana has the expertise, resources, and responsiveness you want in an appliance repair company! We make sure that appliance troubles don’t ruin your day. 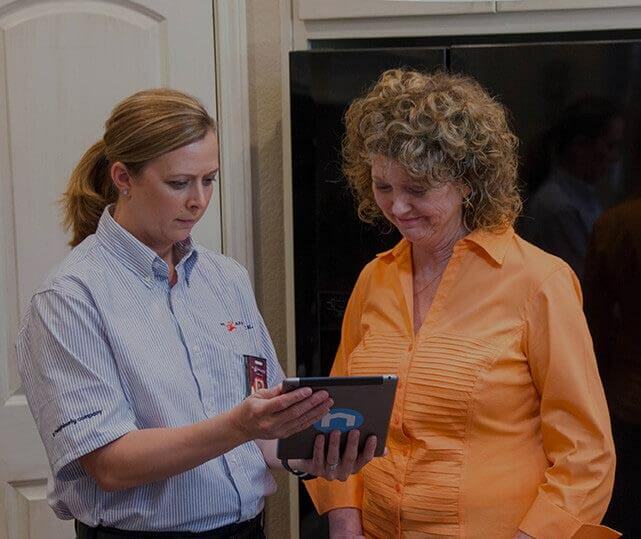 From emergency appliance issues to regular maintenance, our professional team handles it all. Ready to schedule service? Fill out our form or call (903) 730-6984!